Inside: Fighting the isolation of single parenting is a common issue. 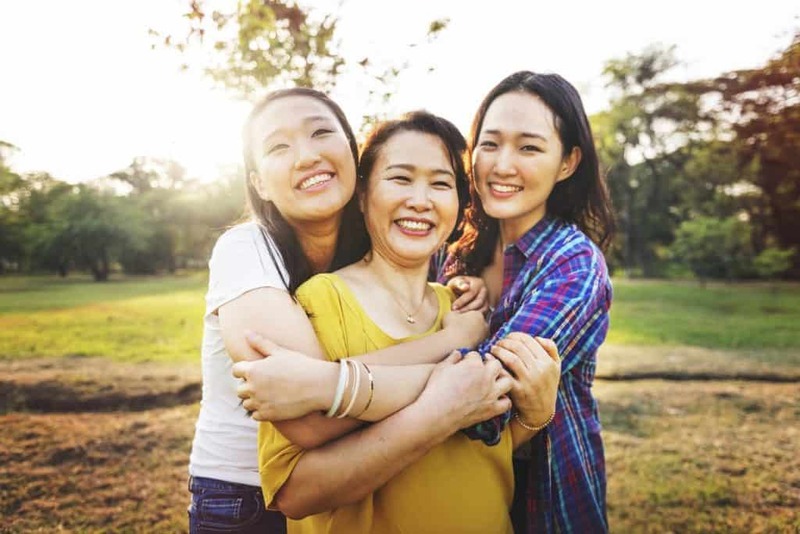 These 6 tips help take the overwhelm of finding a community and friendship for single parents off your shoulder with actionable ideas. I love being a mom, and I even love being a single mom. Our little non-nuclear family of two suits me just fine, and, because I’m a bossy lady, I certainly don’t hate making all the decisions for the household. I don’t have to resent anyone else for not pulling their weight, I have no one to blame when I’m overextended, and I don’t need to hold a family meeting to talk through logistics for the weekend. I just do it. By myself. For lots of women, doing things by ourselves is a relief because it can go quicker, more efficiently, and without argument. In my day job as a school principal it’s all collaboration all the time, and when I get home, I am relieved to cook what I want, make a plan without a discussion, and have fun with my daughter. The truth is, though, our lives are richer with other people. And it’s not enough to fill your life with just the children. We do need other moms, friends, family, and neighbors to build the life we want. The job is hard, first of all. Giving a young person all of your attention is exhausting, and there are lots of days when I wish someone else could do the interminable bedtime routine or take her for a walk so I can have 30 minutes of quiet. And the journey of single motherhood often feels like a bizarre dance between longing for solitude and loneliness. But there are other reasons to involve people in your child’s life that enrich everyone, including the folks you bring along to the zoo or invite to Thanksgiving. Where they don’t exist in our non-nuclear family, we’ve got to bring them in. Not just for us, but our kids. Sometimes it can seem like more work than it’s worth, but the effort we put in to bring people into our world is worth it in the support, connection, and camaraderie we get in return. Here are some of my ideas for gathering people around you and your family. 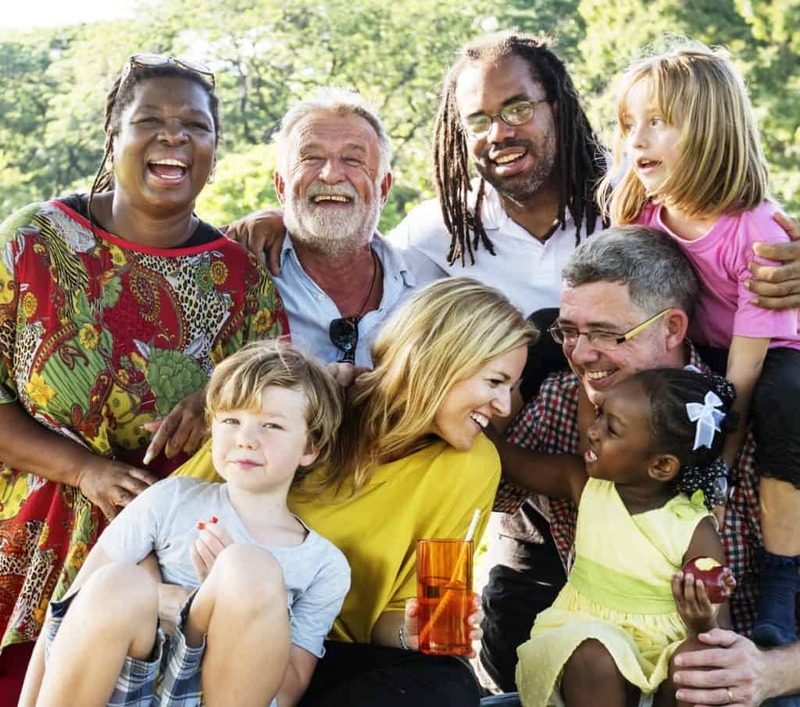 Maybe these can jumpstart your thinking about building connections beyond your own non-nuclear family. At one point when my daughter was two, it was going out to dinner with friends and exploring new restaurants. I got a standing babysitter for Thursday evening to always have a weekly night I could go to dinner with friends after work. Sometimes I just stayed at work late (because face it, I never get to do that either) but often I made dinner plans and was home by bedtime having had two hours of adult conversations that filled me up. I know, when you were 20 you probably just went with the flow, but now you’ll need to make a plan to have a social life. As a single mom, I very rarely get invites out because folks assume I’m doing bedtime and don’t have a babysitter. And that’s mostly true. If someone does spontaneously invite me to dinner or a show, I often say that I can’t find a babysitter. But what if you had a standing babysitter once a week or once every two weeks? A standing babysitter means you are thinking all week about what you can do with that time. You’re asking your colleagues at work on Wednesday about Friday plans, you have your ears tuned to what’s happening on Friday, and if it’s a regular enough time slot, your friends will get the hang of your schedule. Sometimes being a single mom feels like you’ve lost all your friends, but you’ve just lost your ability to be spontaneous. Change that with a standing babysitter, and you’re back on the social scene, baby. I’m not talking yoga class or crafting in the basement. I’m talking about a hobby that is not solitary and preferably isn’t about the kids at all. I took up West Coast Swing dancing by taking a class at a local dance studio, and now I attend a weekly class and social dance that gets me out and about with a new group of friends. Yes, I had to be a little brave to sign up for a class where I knew no one, but years later this social group of friends is such a fun part of my week and something that is for me that is unrelated to parenting. Find a hobby or project that involves you in a community so you can experience having fun, learning something, or solving problems with peers. Single moms especially need reminders that they can put themselves at the center of their lives. Whether it’s a dance class, volunteer opportunity, community college course, or an activist group about a local issue you care about, building a community around you not related to your child can be very liberating. It can remind you that your life has value and purpose outside of parenting. I’ve been a single mom from the start. Because I needed so much help in the early days, I was lucky enough to have some incredible single friends without kids who have been my support system. These are the women who can come over to my house almost every week, who are free in the afternoon for a Saturday dance recital, and who might be game for a trip to the aquarium. If I had a partner and a more traditional family, I would have dad or grandma along with me on outings and events that feel isolating as a non-nuclear family. Having an extra set of hands is so helpful, and the adult camaraderie cuts through the isolation of doing it all by yourself. And you have someone to laugh with at the hilarious and adorable things your kid does. And let’s not forget that being a part of your family is a treat for anyone. Sometimes we single moms feel like we can’t ask for help because someday we might really need it. But these friends aren’t there just to help; they also are incredibly loved and valued by your family. Find some friends who adore your kids and start inviting them to everything (if you haven’t already). I think you’ll find that it’s good for everyone. These girlfriends of mine aren’t just moral support for me. They are a huge part of my daughter’s life. Right now she’s five, but I’m sure hoping that, when she’s 15, these are the women she will go to when she can’t go to me. As a single mom with no family living nearby, I need to know that she will have trusted adults in her life that she can go to for help and perspective. I’m not going to be a perfect mom, and these “aunts” are probably going to provide some serious explanation about why mommy’s like this. I’m here for it. Befriending other families, being a part of lots of groups, and having friends of different backgrounds is very important to me. I believe that my daughter needs male figures in addition to her dad in her life, and as a white mom of a biracial girl, I’m also aware that she will need the perspective of black women in her life as her racial identity develops. 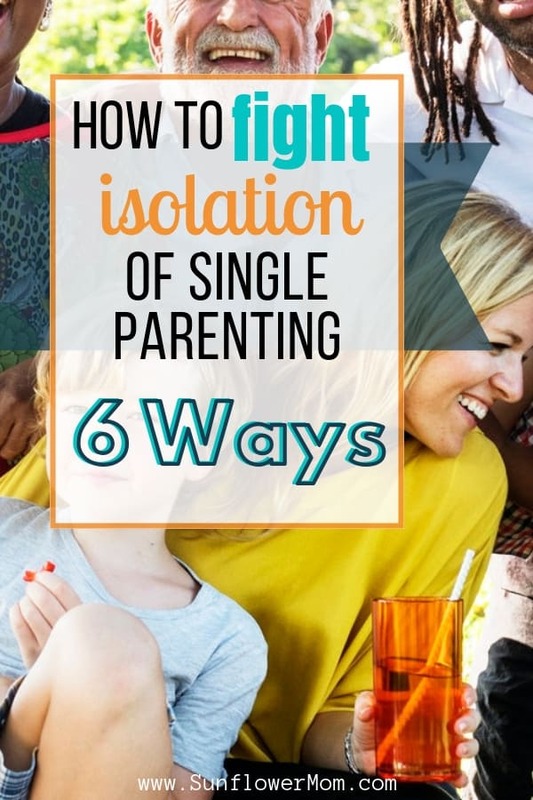 For these reasons, I seek out friends and family to build connections with who can offer a variety of perspectives and combat the isolation of being a single parent. Friendships with families, especially as families are growing, is still unpredictable. Right when I think we have a best friend family, nap times change, and we don’t see each other for six months. Families get divorced, babysitters move in with their boyfriends, and best friends switch schools. Especially in a non-nuclear family, those connections mean so much and when they fizzle out or end, it affects us. If you’re always looking for opportunities to connect, you’re bound to fill your life with lots of amazing people. If your child starts playing with another child in Target and that family looks great to you, go ahead and start connecting with mom or dad. Don’t be afraid to say “We should get the girls together again. They look like great potential playmates.” I always like to be very low key at first: “Do you ever go to the park in mid-city? We go there almost every Sunday morning.” That way, if they care to, they can meet up with you. If you can be bold enough to exchange numbers, bonus points for you! Building a life around ourselves as single moms must include prioritizing the human connections we need to thrive. So much of my world is about logistics and the budget and the soccer schedule, sometimes I forget that it’s people who will bring stability and connection to our lives. All the fears of “what could happen if…” disappear when I know I have close friends who I can call when I have an emergency AND when I need a plus one to a wedding. Happy connecting, moms! The work is worth it! This guest post was contributed by Julie Lause. Julie Lause is a school principal by day and a blogger by night. Over at The Bossy House, she writes for in-charge women raising in-charge girls. Grab her free Sunday Routine Planner to find easy ways to take charge of your Sunday chores and enjoy your weekend again!